The quality of our sleep has a big influence on the strength of our immune system. Studies have found that sleep deprivation increases our risk of developing a cold and that our sleep patterns change when our immune system is stimulated. A study published in June 2016 in JAMA Internal Medicine set out to determine whether short sleep duration is linked with an increased risk of developing colds and infections. Participants also reported whether they'd experienced a head or chest cold or an infection including influenza, pneumonia, or an ear infection over the previous 30 days. Sleep duration and infection ratesResearchers found that 19 percent of those who slept for** five hours or less per night** had a chest or head cold over the previous 30 days. In contrast, only 16 percent of those who slept for six hours or more, and only 15 percent of those who slept for more than seven hours, reported the same. Compared to those who slept for seven to eight hours, those who slept for five hours or less were also more likely to report an infection in the past 30 days. The study also found that those with a diagnosed sleep disorder were more likely to have had a cold or infection compared to those without a diagnosed sleep disorder. Although this research doesn't tell us that sleep deprivation increases our risk for infection, it does tell us that there may be a connection. With that being said, a 2015 study published in Sleep did find that after exposing individuals to the cold virus, those who got less sleep were more likely to develop a cold compared to those who slept for longer. Why does sleep appear to influence our risk of infection? A review also published in 2015 in the Journal of Immunology Research looked at the relationship between sleep and the immune response when faced with viral, bacterial, and parasitic infections. It also examined how sleep deprivation affects the immune response when faced with these agents. It revealed that cell-signaling molecules such as cytokines play an important role in the body's immune system, and that they are influenced by our sleep-wake cycle. If our sleep-wake cycle is disrupted, it may affect the health of our immune system. A separate 2015 study published in the International Journal of Biological Sciences looking at sleep deprivation changes in the immunity of Trichinella spiralis-infected rats confirmed that sleep deprivation changes the percentage of circulating immune cells and cytokine levels. Sleep quality may play a role here, too. A Dutch study from 2015 found that students who felt they had a weak immune system were more likely to have significantly higher scores on measures for sleep apnea, insomnia, and circadian rhythm disorder. If you struggle with sleep, it may be worth taking another look at your medicine cabinet, as at least one type of sleeping pill may increase your risk of infection. A 2014 study published in the Journal of Psychiatric Research found that zolpidem (Ambien) increased the risk of infection in those with sleep disturbances. The authors of that study suggest that hypnotics such as zolpidem can increase sleep apnea and the risk of depression, both of which have been linked to impaired immune function. If you have any concerns about your sleeping pills, you should discuss them with your doctor. 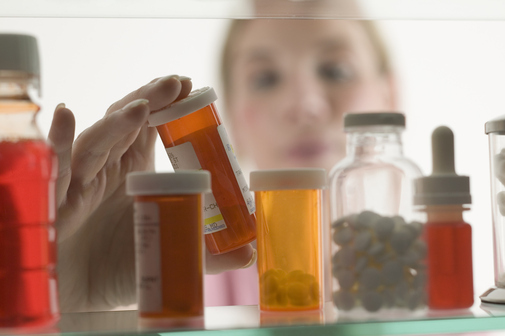 Do not make any changes to your drug regimen without talking to your doctor first. One study found that insomniacs who underwent four months of moderate aerobic exercise ended up with fewer symptoms of depression, lower cortisol levels, and better sleep compared to those who didn't exercise. Furthermore, exercise was found to increase anti-inflammatory activity and had a positive effect on the immune system. It goes without saying that taking steps to improve both sleep duration and sleep quality should be your priority. If you feel you aren't getting enough help from your primary care physician, you may want to seek the advice of a sleep specialist or undergo a sleep study.